Charged with a crime? Know your rights—call (562) 888-9148! Whether you are facing a misdemeanor or a felony charge, a violent crime or a DUI arrest, it is imperative that you retain a dedicated legal professional who can effectively protect your rights in and out of court. 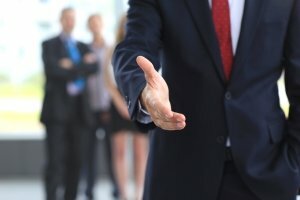 At the Law Office of Peacock & Le Beau, our defense team has worked together for more than 20 years. In total, our criminal defense lawyers in Long Beach have 40+ years of collective experience. We have handled 1,000+ cases with success. We're more than ready to handle criminal cases of all kinds. Don't hesitate to call the Law Office of Peacock & Le Beau to set up your free defense consultation! Criminal law is a complex subject, and not all attorneys have equal knowledge or practical experience in this legal arena. In California, only about 350 lawyers are criminal law specialists who are certified by the State Bar. At the Law Office of Peacock & Le Beau, one of our attorneys is a California State Bar Certified criminal law specialist. Our firm has the rare expertise that you need in your corner to ensure that your future is skillfully defended, and that your every legal right is honored. Thanks to our team approach to criminal law, our Long Beach criminal defense lawyers are able to handle cases of all kinds—no matter how complex matters are. We are even able to handle expungement cases for individuals seeking to protect their future opportunities after an arrest. Whatever situation you find yourself in, don't sell yourself short—you may be able to protect your best interests in court and secure a positive outcome. While you can learn more about your charge and the criminal defense process on our website, you would benefit greatly from speaking directly with our team. Every case is unique—your situation calls for a personalized approach and a full assessment of your legal options. You deserve to explore all of the legal routes available to you as you move forward. Don't hesitate. Discuss your situation with our defense team today! Call (562) 888-9148 to discover an effective, individualized legal strategy with our proven legal advocates. No matter your situation, it pays to keep your criminal record clean—even an arrest without a conviction can have an effect on your employment and other gainful opportunities in the future. At the Law Office of Peacock & Le Beau, we are able to assist our clients in taking proactive legal action to protect their best interests. Learn more about your options with expungement! Facing legal troubles involving DUI charges in Long Beach? Many individuals underestimate the trouble that a DUI charge can cause. If you have been arrested for driving under the influence of alcohol or drugs, you may lose your driving privileges for more than 6 months if you do not schedule a hearing with the DMV within 10 days! The penalties of a DUI conviction are even worse. But with our team at your side, you may be able to minimize the damage. Don’t face criminal charges without legal representation: Call (562) 888-9148 for experienced advocacy! The simplest mistake during a trial or other legal procedure could leave you suffering penalties that you do not deserve. You run serious risks if you face your charges alone, or if you enter court with an inexperienced lawyer. Do not take a chance with your future. Our Long Beach criminal defense lawyers are both publically and professionally recognized for their legal successes. For instance, our attorneys have been selected for inclusion in the California Super Lawyers® list, an honor that only 5% of lawyers in the entire state are able to achieve. At the Law Office of Peacock & Le Beau, we fight every fight for our clients and have over four decades of experience doing so. When you secure our dedicated representation, you secure a team that takes your future seriously. Let us be right there beside you in court. Call us or schedule your free case evaluation today. We are ready to discuss how we can help you obtain a positive resolution to your legal troubles!